Happy Valentine's Day! An odd thing to say on a blog by an editor of a business publication for HVACR contractors, you might think. But hey, it's a holiday and that's what you're supposed to say, right? 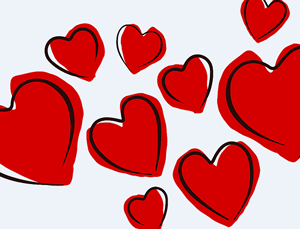 Okay, more to the point of today's post — the history of Valentine's Day. Yes, that's right, I said history. You see, I love learning about the history of things and, throughout the year, I'll do what I can on occasion to share some history with you. According to an article on The History Channel's website, a man named Valentinus was martyred on February 14 late in the third century A.D. But when it comes to details about the life of St. Valentine, legend often supersedes fact. In all, there are about a dozen St. Valentines, plus a pope. You can celebrate Valentine’s Day several times a year. You can find additional information about each of these facts by reading the entire post on history.com. If anything, you'll have something interesting to talk about when you have a romantic dinner tonight with your sweetheart. And, if that's not in the cards for you this evening, you can always watch this video about the St. Valentine's Day Massacre.